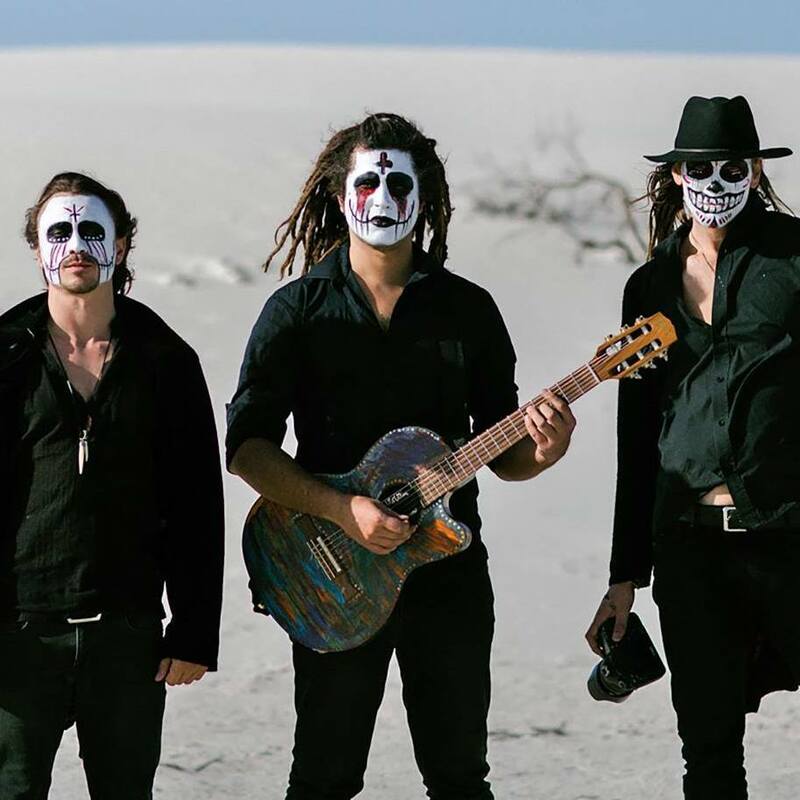 With their trademark “Day of the Dead” facepaint, Kallidad has a visual image every bit as striking as their one of a kind sound. The line up is two Spanish guitars and a box drum- but don’t let the lightweight set up fool you. Kallidad can rock a crowd from top to bottom. The group combines influences from flamenco and mariachi music with rock and metal to create a powerful, energetic and uplifting sound that gives the audience no choice but to dance!